Fly fishing doesn’t stop for winter. In fact, Inside Hook recently published the story, “Why You Should Go Fishing on Your Next Ski Trip.” They named Discovery Ski Area and The Ranch at Rock Creek as the essential places to try this dynamic duo. With a little over a month of skiing left, and warmer temperatures on the way, we’re making plenty of room for skis and waders in our SUVs. 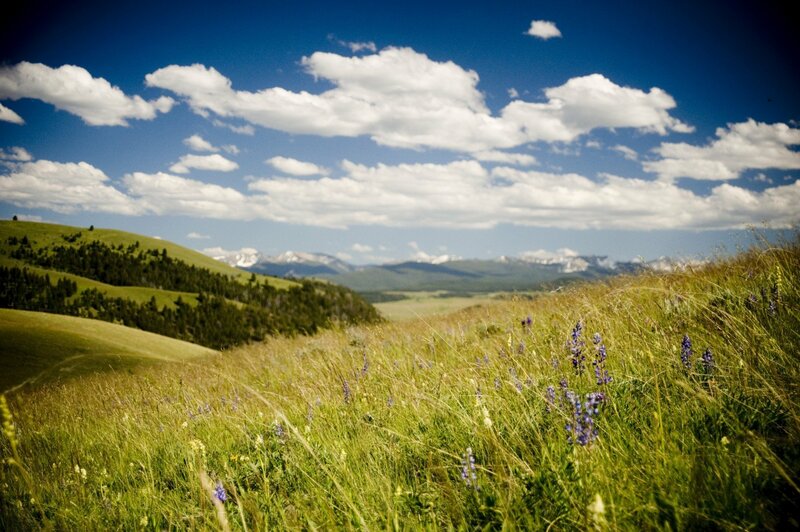 Summer in Montana can take on a faster pace than other seasons. The long days make you want to get up earlier in the morning and stay awake after the stars come out—with the recent full moon and the alignment of Venus and Jupiter, there’s been plenty to see after dark. However, it’s when we slow down and enjoy an activity for several hours that we are amazed by Montana’s wildlife and scenery. 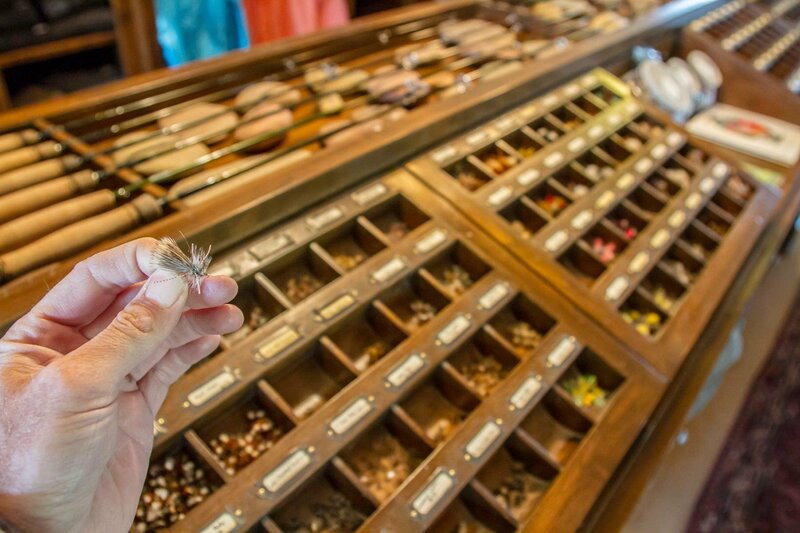 A recent guest took some time to write about her experience with one of our signature activities, fly fishing. 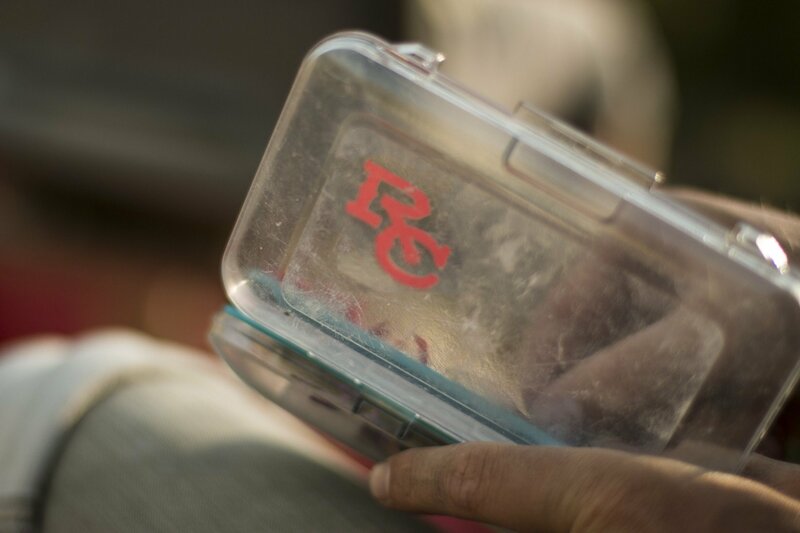 We think she captured the slow pace, patience and beauty of fishing on Rock Creek, as well as the valuable experience of working one-on-one with our guides to master one of the most elusive fly fishing techniques. Thanks, Gwen for sharing your adventure. Properly Presented Dry Flys Will Catch Fish...after a few hours on Rock Creek with my fishing guide, Riley Fitting, he uttered the prophetic phrase. I was successful in catching two large trout and one baby trout, however it was due to his assistance…as in his shouting: Hook It! We’re biding our time in the Rod & Gun Club, because the spring melt has begun in the lower elevations. We know that with the end of spring runoff comes a series of fly hatches that make Montana a world-famous fly fishing destination. Our spring specials are in full swing, and one of them is designed for anglers who want to take advantage of prime seasons—spring and fall—in 2018. Since The Ranch at Rock Creek opened as a guest ranch in 2010, we have become increasingly invested in the Granite County, Montana community. Our staff has delved into the local causes that improve environmental sustainability and the lives of its residents. Throughout the year we look to give back in ways that will make a lasting impact. As a charter member of the National Geographic Unique Lodges of the World, it’s also been an important part of our mission to be responsible stewards of the land, protect wildlife and maintain clean waterways. We are dedicated to keeping Rock Creek’s waters clean year-round. 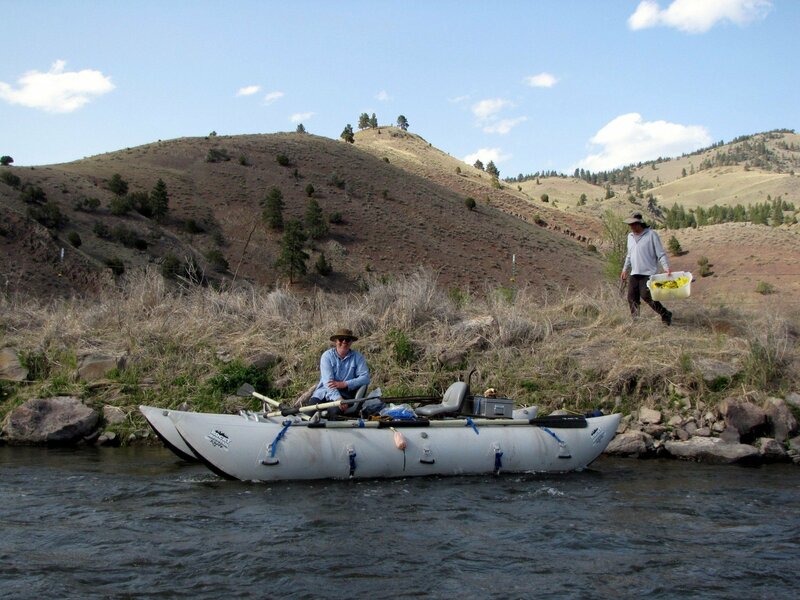 However, this Spring, as Activities Director Patrick Little began floating a little further afield, he noticed that the Clark Fork River, 47 miles North of The Ranch, was accumulating some litter. The refuse ranged from old farm equipment to highway trash to forgotten recreation supplies. People leave cans, water bottles, clothing and other items on the bank, which get washed into our fisheries. As Little noted, the section of the Clark Fork River in Granite County needed a little love. During spring in Granite County, everywhere you turn something has started anew. The land looks and smells green and earthy. Thousands of calves have been born within 100 miles of us, and they roam the fields in little gangs challenging each other to running races. If we could bottle that contagious feeling of spring renewal and send it out into the world, we would. But it wouldn’t be the same without seeing the fawns poking their noses out of the tall grass or the endless open spaces that make Montana such a unique destination. The words “experiential travel” sound a lot more mature and serious than they need to be. The experience of traveling to The Ranch at Rock Creek should be an escape from normal routine. It should be at times exhilarating, relaxing and even a bit fantastical. It’s all fun and games. Children are naturally adept at play. However, it seems unreasonable that we should lose that talent during our working life, only to rediscover it during retirement. When Jim Manley bought The Ranch at Rock Creek and made it into the award-winning luxury guest ranch it is today, he had an eye on the indefinable western spark that encourages people to dream and play. He envisaged more than a traditional dude ranch that recreated the life of a working cowboy. He sought to redefine experiential travel by inspiring a state of play for every guest, child or adult. If you are searching for fall vacation ideas, our Ranch at Rock Creek staff is a living, galloping guidebook of Montana experiences. They are our knowledgeable instructors, our wildlife scouts and our adventurers thanks to personal passion and professional pride. With a dusting of snow on the highest peaks already, most fall vacation ideas and our fall special offers are as inviting as a fleece jacket and a cowboy coffee.